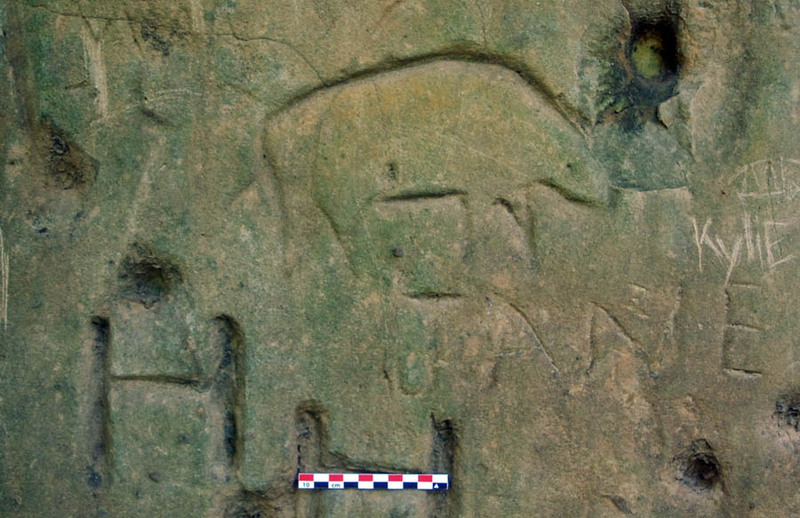 The one "clear" Native American petroglyph appears to my eye to be a Bison. It measures 24 cm in length and 15 cm in height. 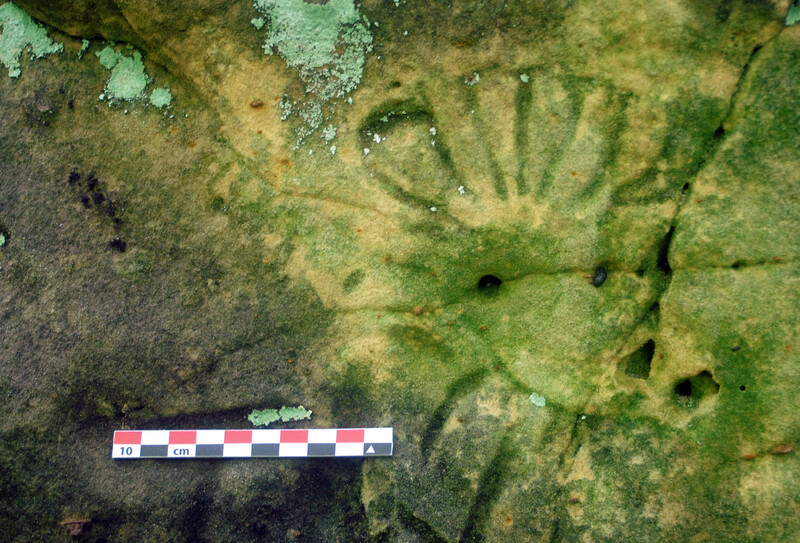 A design cut into the sandstone that is probably Native America. 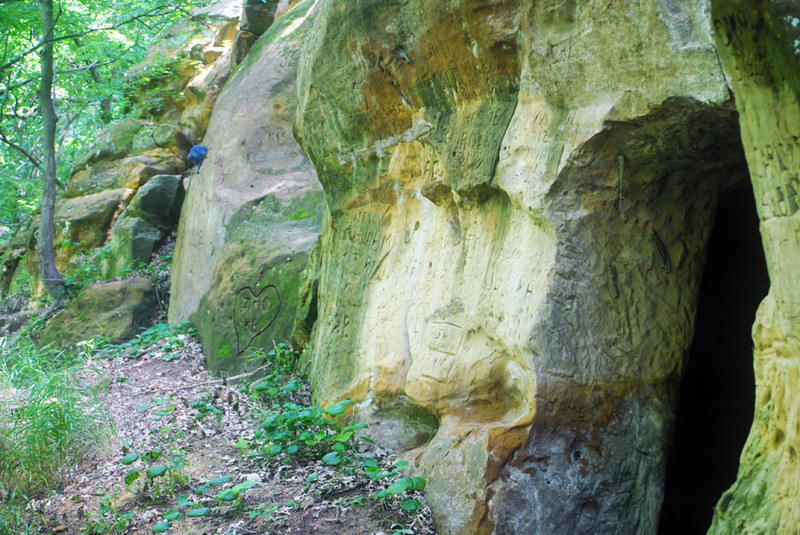 Blue hat on the sandstone bluff face is directly above the bison petroglyph. 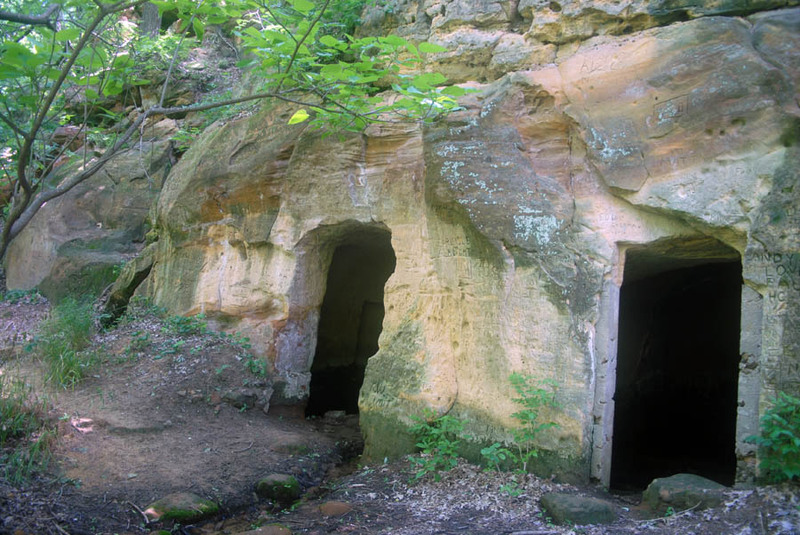 Historic settlers cut the doorways at the Faris Cave Site.